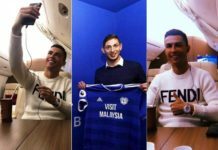 When will Ronaldo marry girlfriend Georgina Rodriguez? 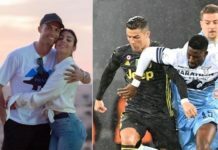 Wedding bells may already be jingling in Ronaldo’s household as the player’s girlfriend, Georgina Rodriguez, seems to be in the market for a wedding dress. Has Cristiano Ronaldo finally found “The One”? Well, it kind of looks more like he has. 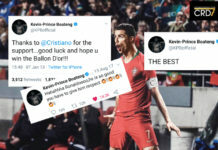 After ending a five-year relationship with Russian model Irina Shayk, whom many thought would be his partner by now, the Portuguese star experienced a few more failed relationships. And then he met Georgina Rodriguez. Reports suggest that their first encounter was at a Dolce and Gabbana event. There, the 22-year-old model caught the eye of the Real Madrid striker in the VIP area. 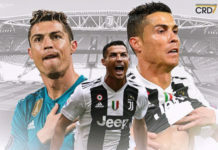 The couple has had loads of adventures together since becoming acquainted and it almost feels like Gio is Cristiano’s lucky charm considering he has enjoyed unprecedented success with her by his side despite knowing each other for barely a year. 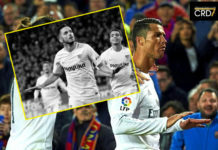 Heads and eyes have started turning as Georgina Rodriguez’s recent activities on Instagram seem to be pointing to her tying the knot with the father of her unborn child. 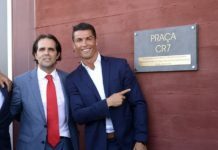 This assertion isn’t mere speculation as Cristiano Ronaldo has come out to finally confirm that his girlfriend is indeed pregnant. Now, who knows, another set of twins could probably be on their way! Anyway, regarding Georgina and her Instagram page, she has been following the accounts of some of the most popular Spanish wedding dress makers, including Pronovias and Hervé Moreau. Still, there are two theories associated with her actions. The first is that fact that she is a model by profession and her following these accounts could simply be because of her interest in fashion. 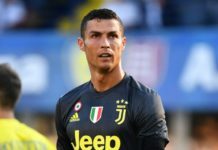 The other hypothesis, of course, is that with Ronaldo’s family significantly expanding he feels the time has come for him to actually settle down. With Georgina and himself expecting another child, it is only logical and morally fitting to become husband and wife, hence her decision to follow the wedding attire designers on Instagram. 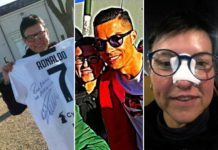 Afterall she seems to relate very well with Cristiano Ronaldo’s family. They have both come this far so it’s only a matter of time until one of these scenarios turns out to be right.